For school arts. Brilliant, full pigment soft pastels. Square sticks are shrink-wrapped in stackable black plastic trays. 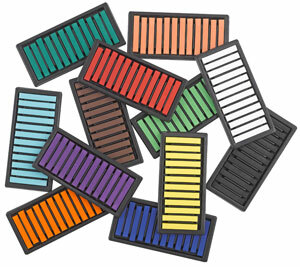 Contains 12 each of 12 colors, in reusable trays.